Tests of the Russian Sukhoi T-50 (PAK FA) fifth-generation fighters are proceeding on schedule and production deadlines will be fully met in 2017, Russian Aerospace Forces Commander Viktor Bondarev said Saturday. “All deadlines remain unchanged, the PAK FA tests are proceeding in leaps and bounds, the eighth prototype has already been delivered. The plane is demonstrating excellent flight and technical characteristics. This is our future and our hope,” Bondarev said. Currently, the PAK FA stealth multirole fighter project is in advanced stages of development and is undergoing flight testing. The aircraft is expected to complete tests this year before serial production commences in 2017. MOSCOW, October 14. /TASS/. Russia’s Aerospace Forces hope to have the first batch of fifth generation PAK FA T-50 jets next year, Aerospace Force commander Viktor Bondarev told the media on Friday. He added the fighter jet would begin to be batch-produced shortly after that. Earlier, the head of the United Aircraft Corporation, Yuri Slyusar, said the manufacturers and military were already discussing the delivery of an initial of batch of 12 planes. 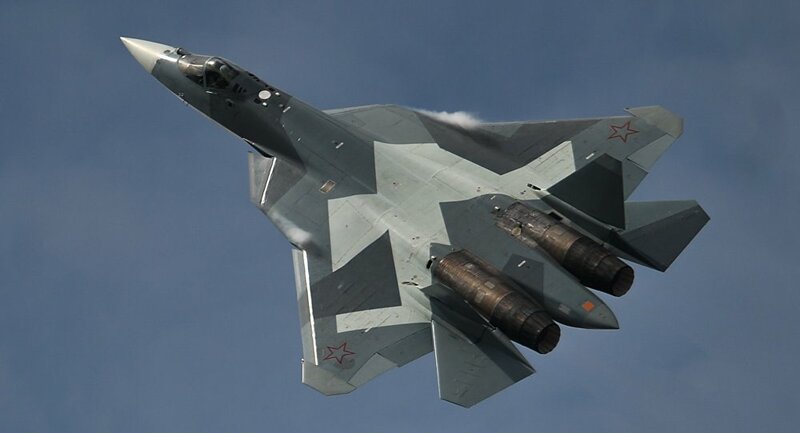 The T-50 (the Promising Aviation Complex of Frontline Aviation abbreviated as PAK FA in Russian) is Russia’s response to the US F-22 fifth-generation fighter jet. The T-50 aircraft is the quintessence of all advanced technologies in Russia’s aircraft-building. Little is known about its characteristics and the larger part of information is kept in secret so far. It is known that the PAK FA incorporates a whole range of carbon fiber reinforced polymers for the first time ever. They are twice as lighter as aluminum of comparable strength and titanium and four or five times lighter than steel. The new materials make up 70% of the fighter jet’s coating, which has allowed developers to reduce its design weight: the T-50 weighs four times less than an aircraft made of traditional materials. The Sukhoi Design Bureau notes “the aircraft’s unprecedentedly low radar, optical and infrared visibility,” although domestic specialists have quite restrained estimates of the jet’s RCS at 0.3-0.4 sq. m. Meanwhile, some Western analysts make more optimistic estimates about the Russian T-50 aircraft and consider its RCS to be three times less at about 0.1 sq. m.
The PAK FA is distinguished by its splendid maneuverability and controllability in the vertical and horizontal planes both in supersonic and low-speed flights. Currently, engines of the first stage are mounted on the T-50 aircraft, which enable it to maintain a supersonic speed in a non-afterburning mode. After the fighter jet receives its organic engine of the second stage, its performance characteristics will improve considerably. The T-50 performed its first flight on January 29, 2010. “Mass production of the PAK FA will start in 2017, according to the plan. We will buy at least one squadron of these aircraft in the first batch,” Borisov told reporters at the Army-2016 military forum near Moscow. According to the Sukhoi aircraft manufacturer, flight tests of Russia’s Sukhoi T-50 (PAK FA) fifth-generation fighter aircraft are at the final stage. 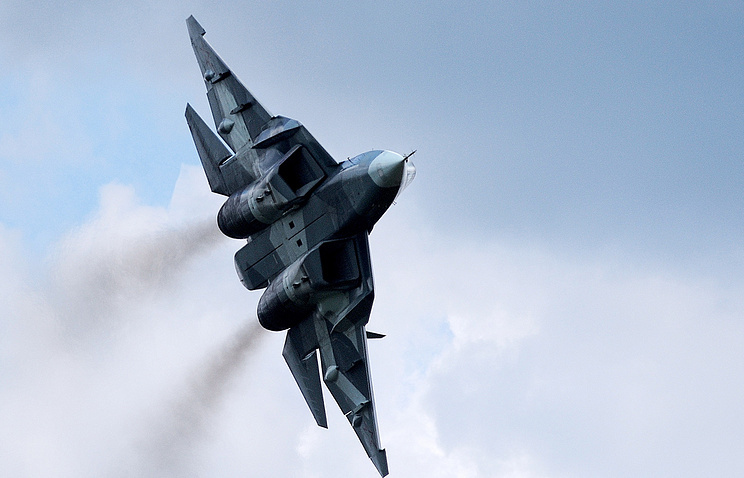 Flight tests of Russia’s Sukhoi T-50 (PAK FA) fifth-generation fighter aircraft are at the final stage, with more than 700 test flights carried out, the Sukhoi aircraft manufacturer said in an annual report on Monday. “Prospective aviation complex of fifth generation (PAK FA) is at the final stage of its tests… More than 700 flights have been conducted. which has allowed to work out and prove sustainable characteristics of the combat aviation complex,” the report obtained by RIA Novosti said. June 5 – The Russian Aerospace Forces will receive first units of the Sukhoi T-50 (PAK FA) fifth-generation fighter aircraft in 2017, Col. Gen. Viktor Bondarev, the Russian Aerospace Forces commander, said Saturday. “There are five [T-50 fighters] at the [Russian] Chkalov’s State Flight Testing Center, they are being tested, and beginning in 2017 they will be arriving to our service,” Bondarev told repor…ters. The commander stressed that there were no delays and the development of the aircraft had been carried out ahead of the schedule. “The aircraft is truly amazing by piloting, navigation and other characteristics, it detects other aircraft at a very large distance, it has no equal in this. We have much to be proud of, and we are delighted to receive such an aircraft,” he added. The T-50 was presented at the Crimea’s eastern Chauda practive range earlier in the day. The PAK FA (T-50), Russia’s new fifth-generation fighter, sets new standards of excellence during a routine test flight. During testing the aircraft managed to achieve a 384 meters per second climbing rate. According to Russian newspaper Rossiyskaya Gazeta, such a climbing speed would’ve allowed the warplane to reach an altitude equal to the peak of Mount Everest, the highest mountain on Earth, in a mere 23 seconds.The aircraft is currently undergoing a serious of tests, some of them involving the use of live weapons. According to Russian Aerospace Forces Commander Col. Gen. Viktor Bondarev, the final aircraft of the test batch will be completed this year. In addition to its already-impressive characteristics and stealth capability, the new warplane will also be outfitted with a host of cutting-edge weaponry, such as the advanced X-74M2 cruise missile, X-58USHK anti-radar missile and tactical X-35UE anti-ship missile. The aircraft is also equipped with advanced avionics and a cutting-edge phased array radar system. The T-50 is a single-seat, twin-engine jet fighter, and the first operational aircraft in Russian service to use stealth technology. The warplane is due to enter service by the end of 2016. Meanwhile, several foreign powers have already expressed an interest in the new warplane, and the serial manufacturing of an export version of PAK FA is scheduled to begin in 2020. 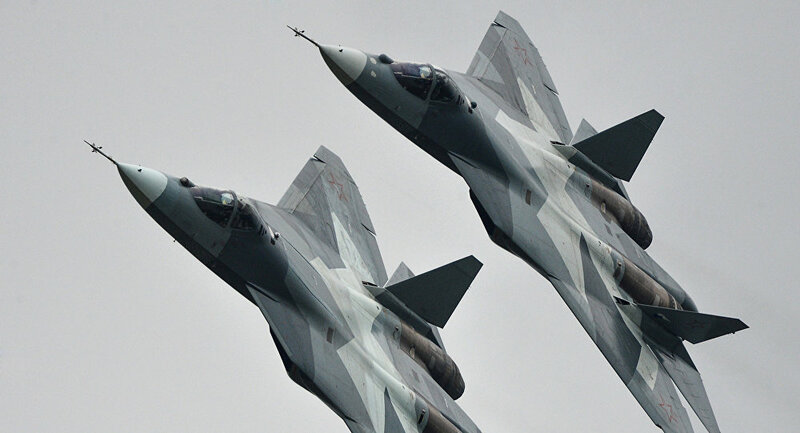 February 4 – Russia has developed a fifth generation fighter jet, the T-50, which is due to enter service by the year-end and will be equipped with a brand-new aircraft cruise missile, media reports said. The fifth generation T-50 fighter jet, also known as the PAK FA, is set to enter service with the Russian Armed Forces later this year. The plane is expected to be equipped with highly advanced X-74M…2 cruise missiles, according to the Russian military news network Zvezda. Apart from the X-74M2, the T-50 will be equipped with another sophisticated missile, the X-58USHK, which will be placed inside the fighter’s fuselage. This anti-radar missile will have a flight speed exceeding Mach 3.5, Zvezda said, touting the X-58USHK’s characteristics, including its relatively small size.